Anala Karpe doesn’t believe in nostalgia. To her, the four years she spent as a teenage superhero were nothing but a waste of time and tears. These days she rather just hang out with her best friend (and fellow ex-Avazon) Claire, staying out of fights, staying out of trouble, and staying off the radar of her former employers… but all that can be rather tricky when you’re a 6'4" girl with a fiery temper and a sharp tongue. Anala wants to leave the past behind her, but no one said it had to stay there..
Phoenix Flair is a long-term webcomic that currently updates Mondays and Thursdays. It can be described as a play on the 魔法少女/magical girl genre, though over the course of its story it will dip into a variety of subjects, including nostalgia, coming-of-age themes, LGBT themes, mental illness, hero worship, and many others. 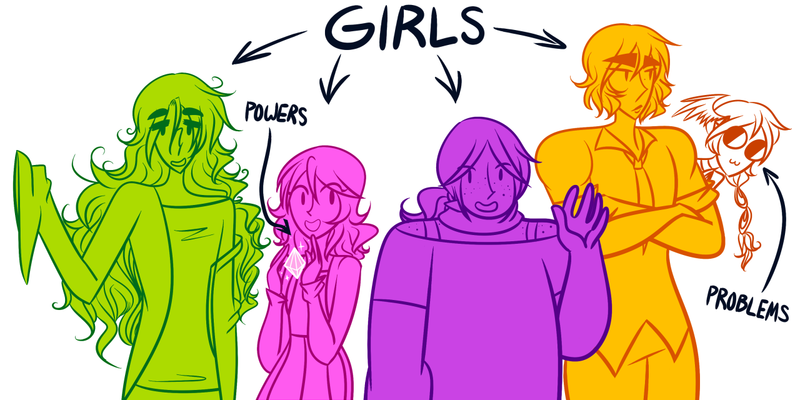 In the past I have summed up Phoenix Flair as a story about "girls with powers and problems." In addition to Phoenix Flair, I have several smaller stand-alone projects, mostly prose- my itch.io is where I host most of them! 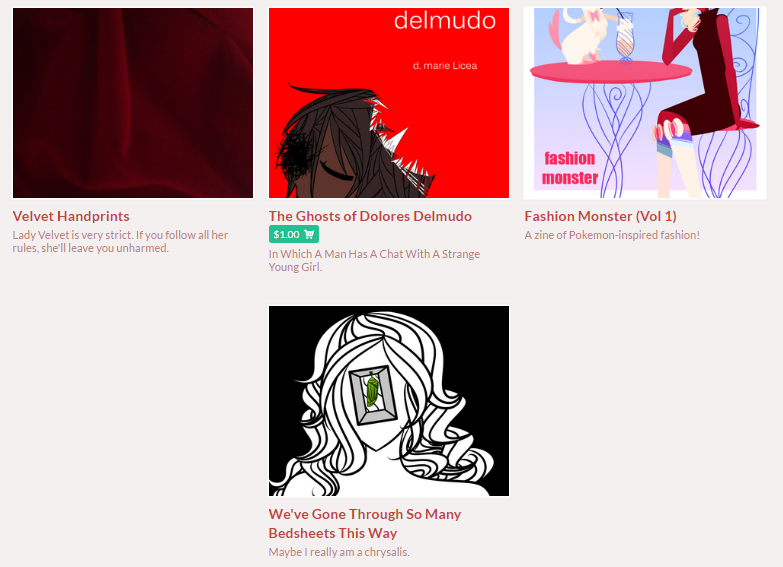 Thanks to itch.io's pay-what-you-want system, most of my prose pieces and zines can be yours for free, but I will be extrememly thankful if you use it to throw a few extra dollars my way! In addition to creating my own art, I also enjoy writing analysis of art I have enjoyed in the past! WWYDD is my blog specifically geared towards small pieces I write about media, mostly focusing on what makes them unique or memorable. I am d. Marie Licea, an aspiring digital illustrator and writer, and one of my current goals is to be able to make a living creating the work that I and others love. Phoenix Flair is my very first long term project and I have been able to keep drawing and posting it online regularly and on-schedule for almost a year now, and I would very, very much like to continue to do so. With your help and support, you can supplement my income, and therefore allow me to continue to regularly produce Phoenix Flair. Patreon funds will go towards rent, food, and other living expenses. If I am able to make enough funds through Patreon, not only will I be able to be confident that I can continue making Phoenix Flair for a long time, I will be able to produce bonus material for the comic, and, possibly, other projects alongside the comic. Thank you for reading Phoenix Flair! You'll have access to the Patreon Page, which means you'll be the first to know any announcements i make, any sketches or previews i post, or any trivia or behind-the scenes stuff i decide to share! Not only will you have access to the Patreon page, you'll have access to new pages and certain content early! Not only will you have access to the Patreon page, any previews and WIPs, and early content, you'll get access to all Patreon-exclusive content!